Of all the ways groups make bad decisions, false consensus is among the most difficult to detect. Bullying others and dismissing the contributions of some group members are usually obvious when they happen, but by contrast, false consensus is subtle. Even those most affected by it might be unaware. 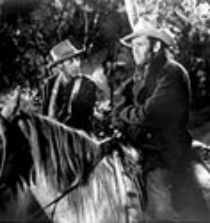 Harry Morgan and Henry Fonda in The Ox-Bow Incident, a 1943 film directed by William Wellman, starring Fonda and Dana Andrews. The film is based on the novel by Walter Van Tilburg Clark. It tells the story of a lynching in Nevada in 1885, in which an illegally deputized posse of 27 men and one woman hangs three innocent men. At one point in the proceedings, to confirm the posse's nerve, the ringleader calls for a majority vote, asking anyone who favors a court trial to "stand over there." One by one, seven men comply, and although they are overwhelmingly outvoted, we cannot help but feel the shock of the members of the pro-lynching faction as they discover an increasing number of dissenters in their midst. One of the dissenters is the ringleader's son. This scene illustrates the two components of false consensus. First, it shows the disruptive effects of discovering that anyone would disagree with one's own position. Second, it shows how those who hold the conventional view tend to regard dissenters as defective. Photo courtesy U.S. Library of Congress. False consensus is a group psychological phenomenon [Engelmann 2004] with two components. First, members tend to believe incorrectly that others hold opinions in agreement with their own. Second, members tend to believe that those who disagree do so because of personal defects. This error of perception is not a personal flaw — it is a universal human trait. Wherever people work in groups or teams, false consensus can happen, more often than any of us would like. Usually, the errors in estimating what others believe are inconsequential, but when the issue is controversial, errors matter. For instance, when a team chooses between two different strategies, members tend to guess that other members would choose as they would. And they also tend to believe that those who make the opposite choice have serious character flaws or malicious intent. Here are four situations that present elevated risk of false consensus. Contracts usually contain specifically crafted language and terminology, which is inevitably subject to interpretation. Each party to the contract interprets this language in ways that seem to them to be conventional or common sense. And that's where false consensus can arise. By including examples and not-examples in contracts, we can reduce the likelihood of false consensus by narrowing the range of ambiguity. False consensus can arise in both requirements development and requirements interpretation. Any ambiguity will find people willing to adopt differing interpretations, with many believing that their interpretations are conventional, and that other interpretations are self-serving or perhaps malevolent. Terseness, though seemingly elegant, creates risk of false consensus. Specificity, with examples and not-examples, produces better outcomes. false consensusof any kind are fertile ground for false consensus. "We'll postpone that task if you let him work on this task now," is an example. Its ambiguity creates opportunities for false consensus. Postpone for how long? Will he be working full time now? Make agreements explicit and specific. Write them down in confirming email messages or posts. In organizational change efforts, Management often desires that the Managed accept something the Managed don't actually want. Sometimes, Management encourages false consensus by creating the impression that the majority do actually want the change. It's a tempting tactic, but when people eventually figure out what's happening, trust is broken and Management loses credibility. A safer approach: be honest and deal with serious objections seriously. Would you like to see your comments posted here? rbrengQeemnMGGXKsPhKHner@ChactGnbFNPVPGhGjDwQoCanyon.comSend me your comments by email, or by Web form. I offer email and telephone coaching at both corporate and individual rates. Contact Rick for details at rbrenUNHzRraCTejEAOqsner@ChacSnynklFImNYWYJsxoCanyon.com or (650) 787-6475, or toll-free in the continental US at (866) 378-5470.